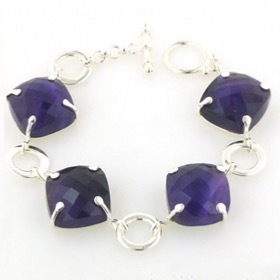 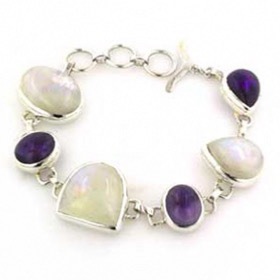 Checker cut rainbow moonstone bracelet in sterling silver. 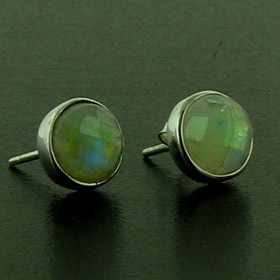 These large faceted moonstones glitter in the light and have the floating blue light beneath the white cloudy surface. 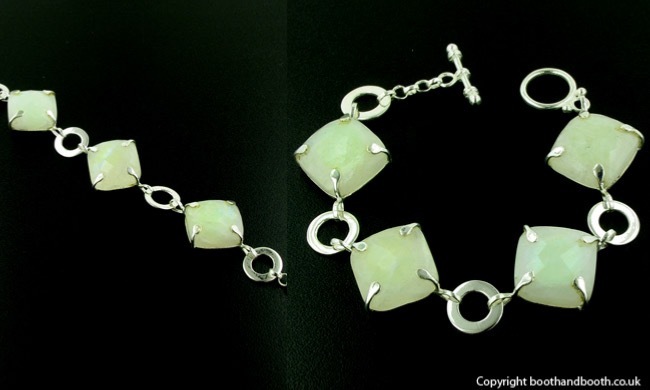 They look beautiful against the bright sterling silver. 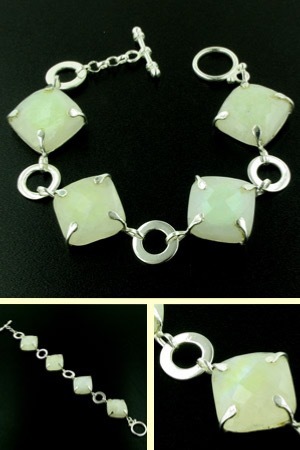 Each square moonstone is claw set and interspersed with a large sterling silver ring. 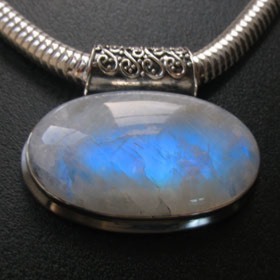 See also our rainbow moonstone pendants, necklaces, earrings and rings.